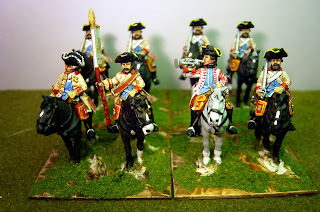 This is the last of the late-uniform Hessians for a while - the Leib Regiment, a crack unit. 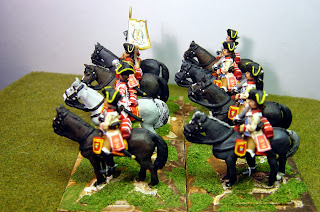 The figures are from Eureka. 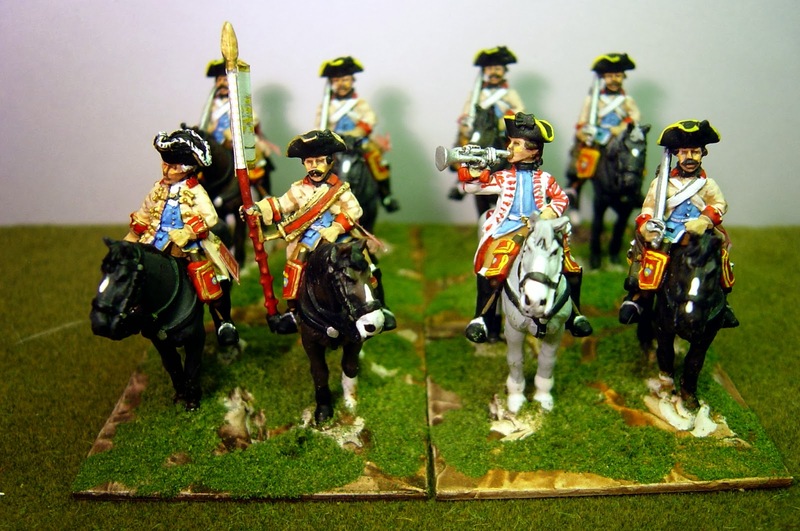 There are very few options, in terms of figures manufactured, when it comes to fielding a cuirassier regiment that was not issued with cuirasses. 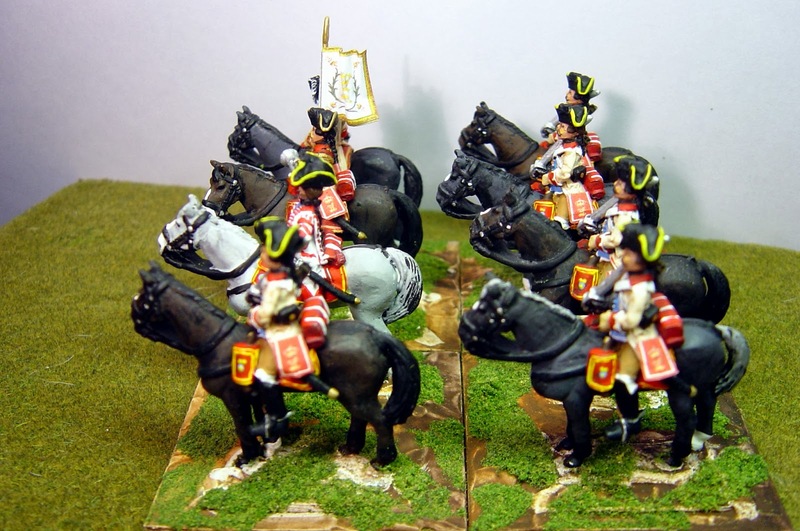 Besides using a 'dragoon figure' and being creative with the painting, your best option would be to use a Prussian Cuirassier figure and say that they were issued with cuirasses.